First-Steps Nursery and Kindergarten is the foundation of Green Meadows School. Our Bright and friendly Pre-Primary section provides the perfect introduction to the wider world and allows them to explore and learn in a safe, happy and stimulating environment. Throughout the school, children are encouraged to achieve the academic goals by giving them incentives. By making learning fun, the students are continuously striving to do better and attain the high standards set for them. 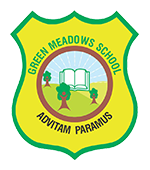 At Green Meadows School we believe in preparing children for integration into society by instilling moral values, discipline and tolerance of each other. We believe that if the whole world worked on these principles then the world would be a much better place to live in. Our aims are achievable in an environment where teachers, assistants, parents and community work together for the successful development of each individual child in our care. “We strive to empower our students with the academic and social skills necessary to become responsible, respectful and dignified citizens wherever they may choose to live, for after all, we are preparing them for life”.